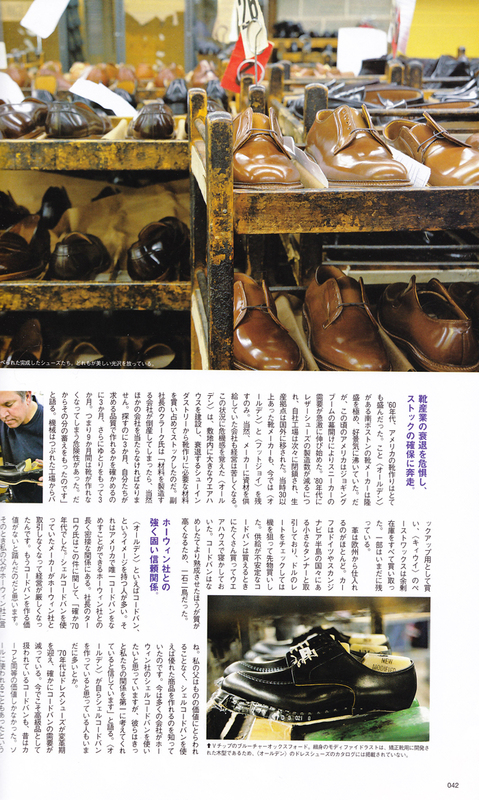 In the new issue of Free & Easy (all about tweed, post coming soon) there is a short section called “Merry Xmas, Mr. Leather” which has an overview of the leather trade as well as bios on some very talented artisans. I hope they revisit this topic in the future with an issue devoted to small leather goods. 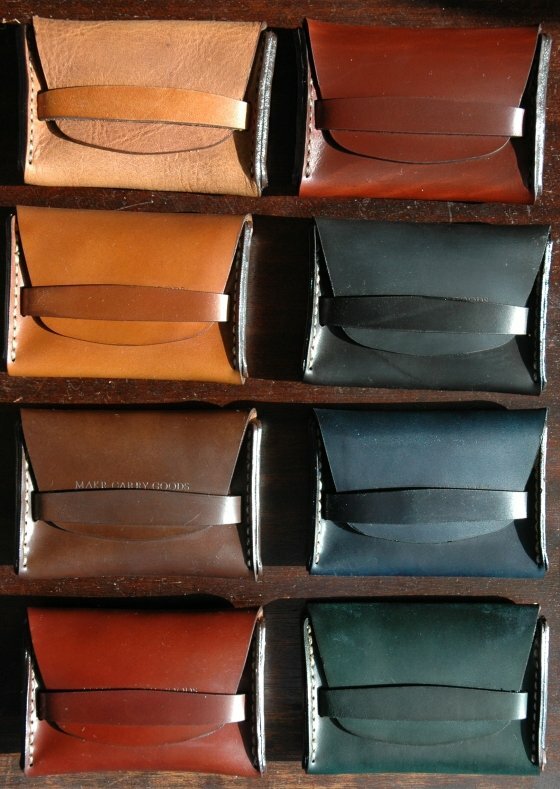 Horween Leather is selling a small assortment of them directly. 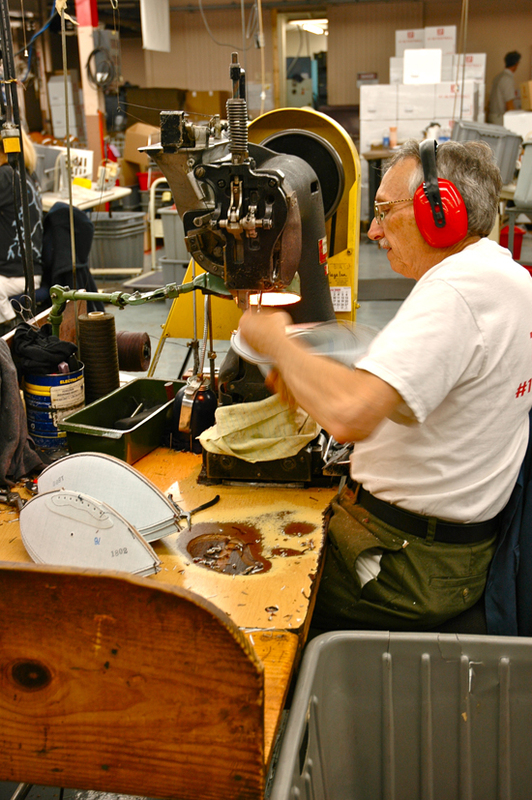 While on mention of Horween leathers, what do I spy in this image? 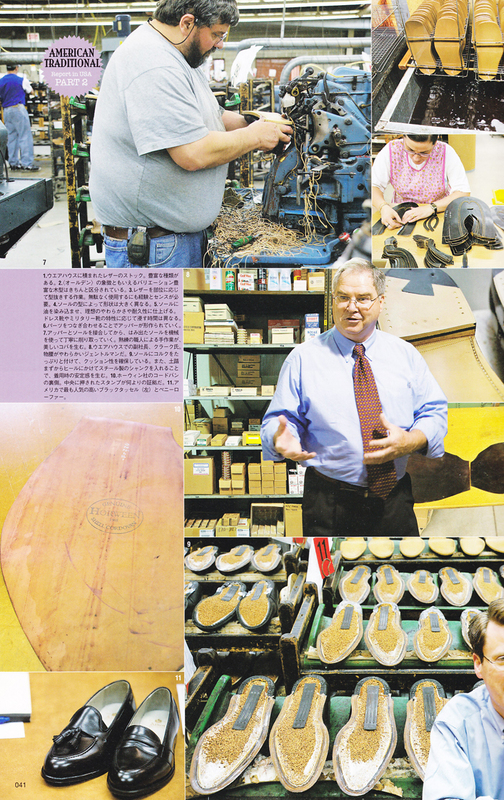 Many and many pairs of shoes in cigar and whiskey shell cordovan sitting in Alden’s factory. 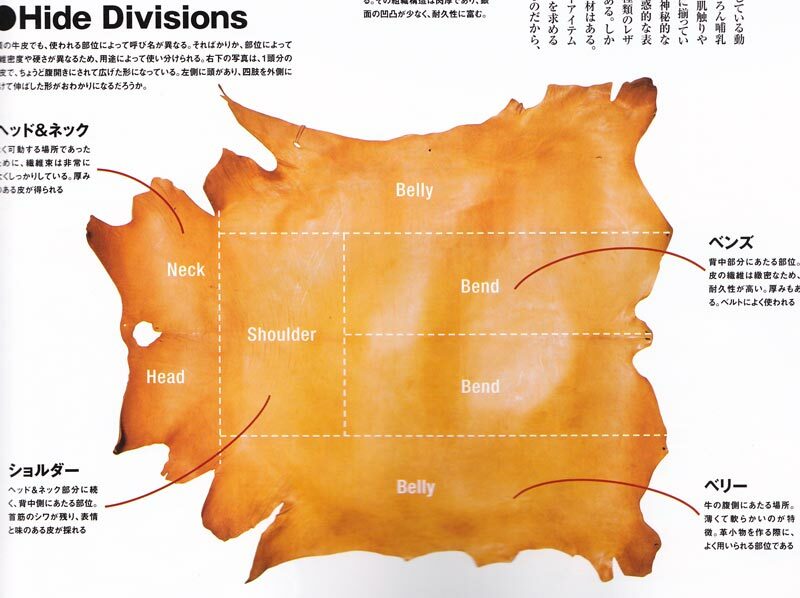 It’s part of a scan of a special edition magazine called “All About USA” put out between Popeye (a Japanese clothing magazine) and Beams (a Japanese clothing retailer). I wonder what lucky store all of those are going to. This next scan shows an interesting part before the soles are attached. If you notice closely, there is in fact a large piece of metal laid on top of the cork bed which is usually referred to as a steel shank. To loosely quote one of their salesmen, the steel shank is part of what makes an Alden shoe so special (and heavy :) ) as it helps provide support for your feet.